The detritus from my recent K-beauty experiment. It’s called “1 day, 1 pack.” And while this is not a reference to an unfortunate nicotine habit, it may well be just as addictive. 1일 1팩, as it’s called in Korean, is a beauty trend that originated in Korea some years ago, when stories began emerging about Korean celebrities attributing their amazingly pristine skin to their use of a mask every day. 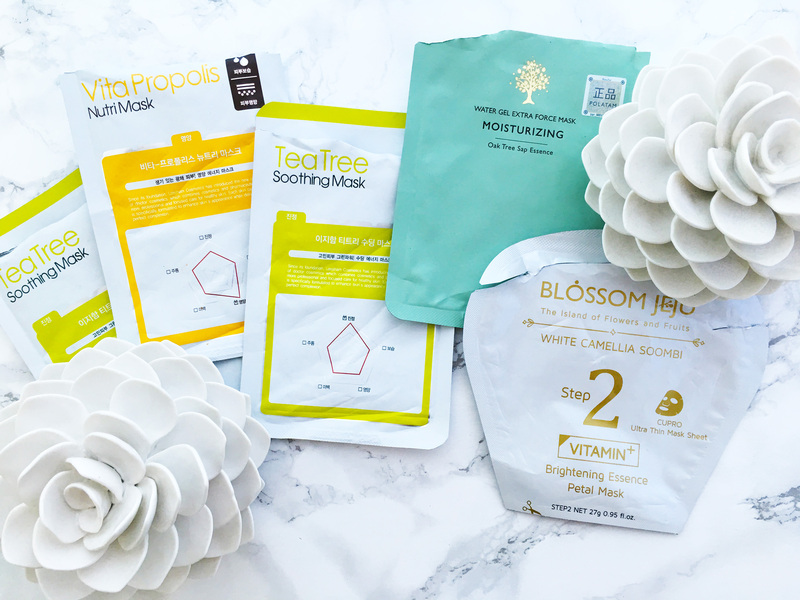 It wasn’t long before the skin care-obsessed nation — where decent quality sheet masks abound in every convenience store for as little as $1 each — was obsessing over incorporating a daily mask, like a complexion multivitamin, into their already impressive regimens. 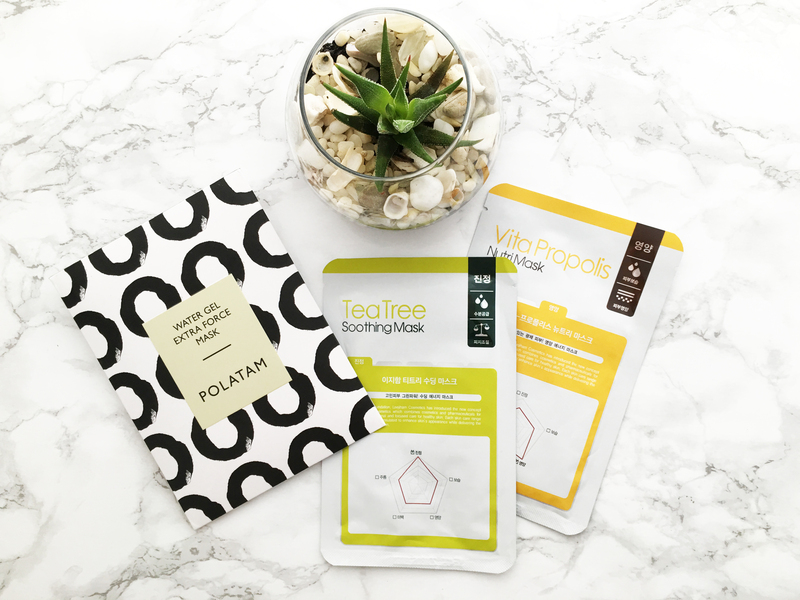 The trend soon spread to K-beauty aficionados all over the world, with Instagram and Reddit users challenging each other to use one sheet mask a day. (The hashtag #1일1팩 currently has over 30,000 posts on IG, while #sheetmask has over 75,000.) The movement reached fever pitch last year, with the rallying cry of skin care fanatics that Chinese superstar Fan Bing Bing (known for her flawless complexion) uses at least two sheet masks a day (over 600 a year). Soon, Vogue and Allure were writing about daily sheet masking as the latest trend to come out of the beauty capital. While one sheet mask a day for an entire year sounds a bit expensive (not to mention time-consuming, though I guess if you’re a celebrity, you have loads of both), trying one mask a day for a week or so may be just what the doctor ordered for a seasonal reboot or after a particularly stressful month. 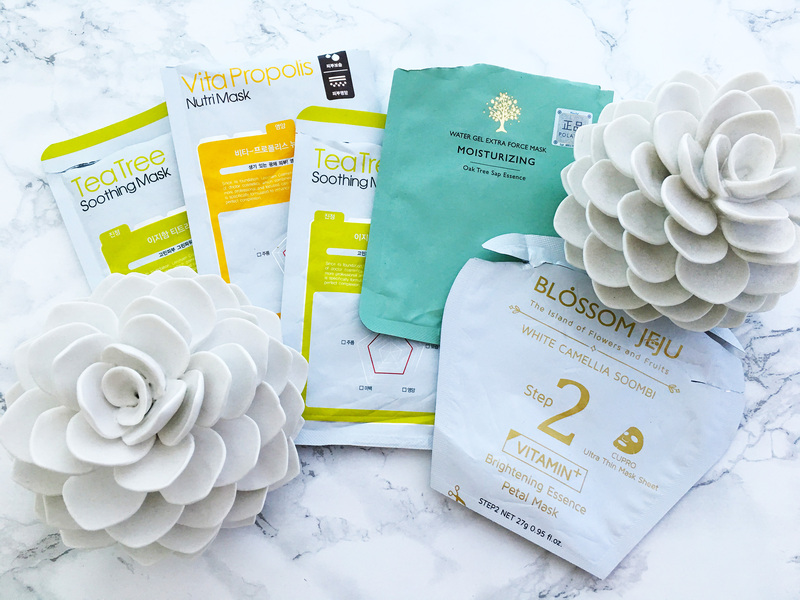 In fact, there are now Korean sheet masks that come in curated packs of five or seven and are intended for use one per day. Think of it like incorporating an ampoule for times when your skin needs a boost, like before a wedding. In light of my upcoming vacation — a time when my skin typically freaks out (more than usual) at the change in time zones, temperature, and diet — I decided to give the 1일 1팩 challenge a go. Now, I normally mask once or twice a month — yes, a month. So for me, this truly was a challenge. Considering what a skin care obsessive I am, I’m incredibly lazy/forgetful/lazy about masking. Since I have to multi-mask (an exfoliating glycolic, followed by clay or charcoal on the T-zone, brightening and hydrating on the cheeks, finished off with a sheet mask), a masking session is a good two-hour process, so carving out that much time in the evening where I can’t eat or talk is no easy feat. But I was determined to give my skin an anti-inflammation, hydration-filled head start before boarding that plane. To make it easier for me, I decided to apply my sheet mask in the morning as a part of my serum/essence step. Here’s what happened. I started with my current favorite sheet mask. This tea tree mask by LJH was my savior during a recent bout of acne, and it’s one of the things that made me rethink my masking strategy. I never used to think masking really did that much for my skin. Sure, I looked glowy immediately afterwards, and my makeup melted in like butta the next day, but was it as effective long-term as my beloved serums and essences? Apparently so. I now believe a sheet mask, with the right ingredients and formulation, can make a drastic change in my skin’s condition literally overnight. But to me, quality is everything in a sheet mask. There are so many options out there, and while it may be tempting to load up on $1 sheet masks or play around with one of those cute printed ones (which resulted in splotchy redness the one time I tried one), I figure if I’m going to leave something on my face for a good 20 minutes, I want there to be as few of the no-no ingredients and potential irritants as possible. After a relaxing 20 minutes, drinking coffee and checking email, I patted on a light facial oil on top of the serum to seal it all in. I did an abbreviated version of my morning routine since my skin already felt so soft and hydrated. After masking, my skin felt incredibly plumped and super saturated. In fact, as I proceeded with my usual morning regimen, I skipped a few serums because my skin felt almost overly saturated, like it wouldn’t be able to take any more nourishment. Was it the fact that I sheet masked two days in a row (could it be overkill?) or was it the nutrients in the Vita Propolis mask that gave me a surge of nourishment? Yup. It was the Vita Propolis mask. I know this now because after using the Tea Tree mask (a repeat since I really wanted to knock out this one blemish and to scare others lurking beneath the surface from emerging), my skin didn’t have that super-saturated feel that the Vita Propolis mask gave me. But that’s not to say that the Tea Tree mask didn’t do its job. It calmed some of my existing blemishes, and my skin looked glowy and nicely hydrated. My makeup went on fairly well, especially considering I didn’t use primer, so I attribute that to the mask. After three days of serious blemish treatment, I wanted to treat my skin to something comforting, so I applied the Polatam Moisturizing Mask. This is my first time using Polatam, and I have to say, the super thin cupro material clings wonderfully on the face, even if it’s a little tricky to unwrap from the bag. It’s also got a light, fresh scent, which is soothing and adds to the spa-like experience. The serum is extra cushiony, and as I pat it in after about 25 minutes, it takes longer to absorb than most masks serums. In fact, the serum remains in what feels like a protective layer over my face (almost like a moisturizer! ), so I do an abbreviated version of my morning routine. I finish by pressing a dry oil to seal everything in, and while it doesn’t feel as plumped from the inside out as it did with the LJH Vita Propolis mask, my skin feels like I’ve wrapped a soft, plush blanket over it. Phew! Normally, this would be like five months worth of masking for me. In order to inject some serious hydration into my skin before I spent eight hours in dry cabin air, I went with the Blossom Jeju White Camellia Soombi Brightening Essence Petal Mask. Two-step sheet masks (often called ampoule masks) are not new to me. I saw them everywhere in Korea almost a decade ago. But because I’m a multi-masker, I never felt the need to add yet another step to my masking regimen. But a two-step mask with an oil as the first step? That was a new one. I worried that an oil pre-mask would somehow prevent absorption of the serum in the mask, as much as an oil post-mask seals in all the goodness from a mask. As I applied the 100% pure camellia oil, I thought, no way — there’s way too much oil! My face was slick and shiny, and there was still more oil coming out of the packet. They definitely didn’t skimp! But by the time I got the second packet open and the sheet mask ready to put on, I noticed that the oil had sunk in quickly, no longer a thick layer. Perhaps it was the oil, but I had a much easier time smoothing the mask, made of super-fine cupro material, onto the contours of my face (or maybe I’d gotten the hang of it now). SO IS 1일 1팩 WORTH IT? So my conclusion after five days of 1일 1팩? My skin felt especially plumped all week, almost like it had hit its saturation point with so much nourishment. My lines looked softer, my skin glowier. It was like a seasonal ampoule treatment, but on speed. This is definitely a must-do when prepping for a big event or after a stressful week. Most surprisingly, sheet masking in the morning is a great time hack. Instead of layering five serums in the morning, I just applied a sheet mask and then checked email for 20 minutes before finishing with a moisturizer. I was so much more productive, all with less effort than my usual skin care regimen. A one pack a day habit? I can get addicted to this. Originally written for Glow Recipe. Wow, you are giving me an idea here. Because I was too thinking that a mask a day becomes expensive in the end. But if I think, like you do, of using it for, say, 7 or ten days as a reboot, it is like spending a week in a thermal area, where I would be pampered, relaxed, and then go back home. I think I could do that, and add also a nice diet filled with vegetables and fruits, to make the reboot inside and outside. I have a couple of masks here, I will buy more and when I have around ten I will start with it! 😀 Thanks for this post. Great idea Carmen — combine it with a nutrition detox! I totally believe that what I put inside my body affects my skin!